Another box of new boards arrived from DirtyPCBs.com today. As always you’ll find them on my Tindie store in the next few days. 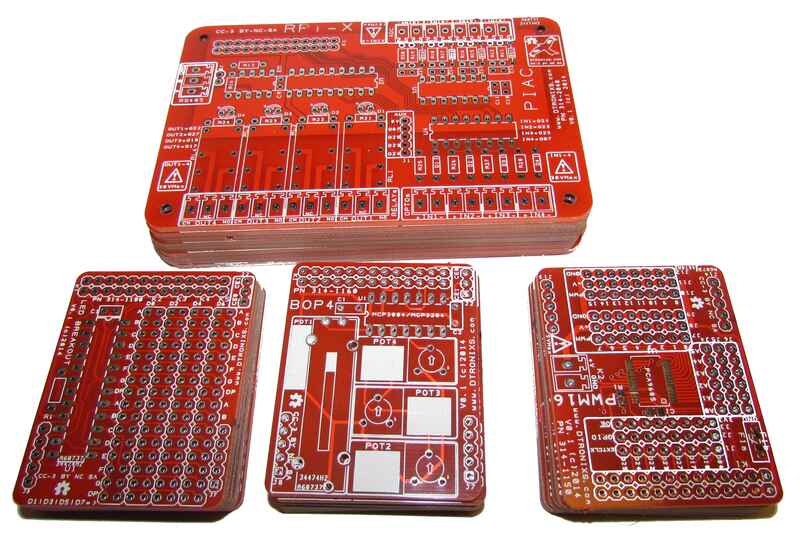 This entry was posted on Tuesday, May 13th, 2014 at 10:42 pm and is filed under Electronics, MiniPiio, PCB, Prototypes, Raspberry PI. You can follow any responses to this entry through the RSS 2.0 feed. You can leave a response, or trackback from your own site. They look pretty good. I’ve been thinking of making a breakout board. Do you use 39 or 35 mil for pin header holes? What size is the solder pad surrounding the holes? Not sure what size I used off the top of my head. I’ll check the hole sizes later today.